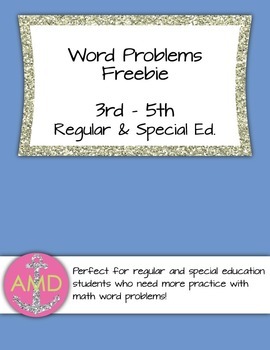 Has anyone else noticed that there aren't many word problem freebies?! 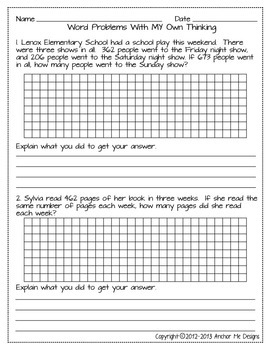 My shop's best seller is my Division & Multiplication Word Problems and I've decided I'm going to start posting word problem freebies each month! So if you like my word problems follow me for more! 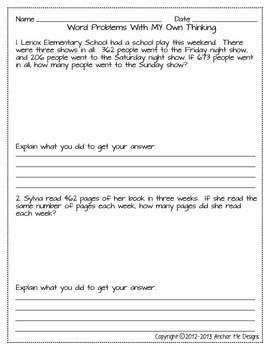 This freebie includes 10 word problems in two different versions. One version has graph paper under each problem and the other gives a typical blank work space. Each problem provides a line where children can explain in WORDS how they solved their problem! All of the materials and graphics are original and were made by Anchor Me Designs.